Start the year off right with a refreshing citrus thirst quencher. Add ice; blend until thickened and smooth. For a single-serving smoothie, prepare using 1 pkt. (2.4 g) Crystal Light Singles Tangerine Grapefruit Low Calorie Drink Mix and half the remaining ingredients. 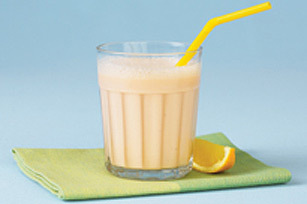 Prepare using Crystal Light Strawberry Orange Banana Low Calorie Drink Mix. The skim milk and yogurt team up to provide a good source of calcium in this great-tasting smoothie.